Nappy cakes are a super fun, super cute and super practical gift idea for mum and bub. 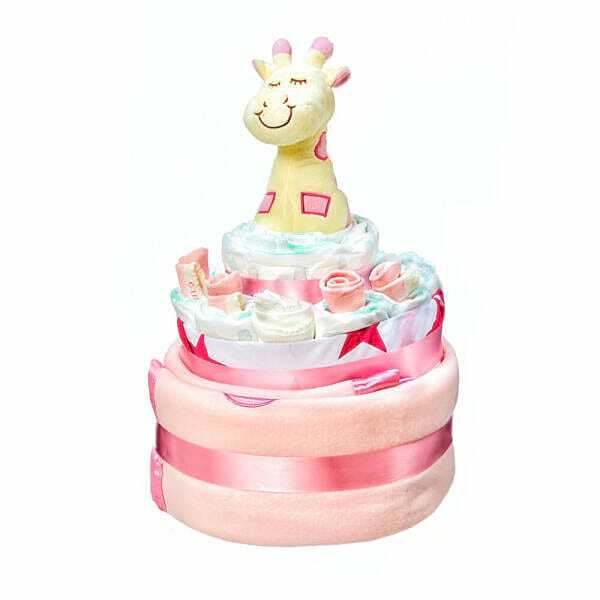 Cleverly designed to resemble a tiered `cake` using disposable nappies and other newborn baby gifts such as socks and bibs, these nappy cakes not only look fab but are useful too. Send one of our nappy cakes to celebrate the birth of a darling new baby anywhere in Australia. Available in a number of styles and sizes, this adorable baby gift is perfect just as it is, or teamed with a flower bouquet, fresh fruit box or balloons. Oh and given nappy cakes are calorie free, adding a little extra gift of chocolate or a bottle of bubbly wouldn`t go astray! NAPPY CAKES - CALORIE FREE, CREATIVE AND CUTE! Flowers are always appreciated by new mums when they have a baby, but if you are looking for a different gift idea for babies, then our nappy cakes fit the bill! 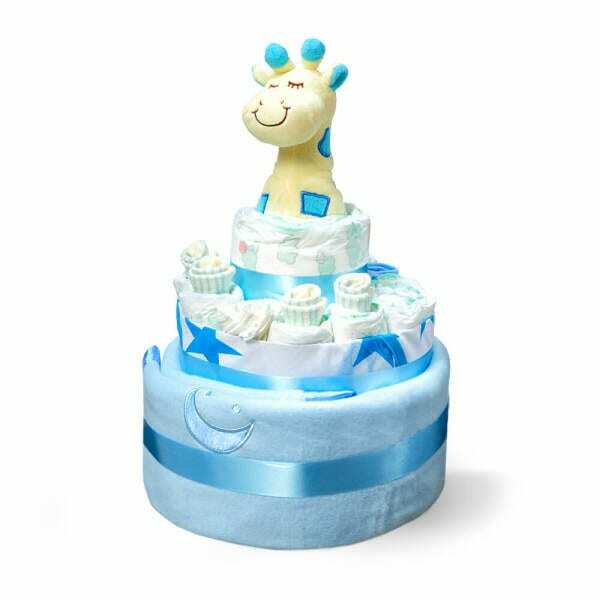 Not only are nappy cakes a convenient gift to order online, they include a number of useful newborn baby gifts that any mum will find handy. Baby items such as newborn disposable nappies (can never have too many of those! ), wee little baby socks to keep wee little tootsies warm, and teeny tiny singlets are just some of the nifty gifts in our cutsie nappy cakes. These novel nappy cake gifts are great just as they are, or can be sent along with other pressies available in our online flower shop, such as a bouquet of balloons, fresh fruit box, flowers, sparkling wine or chocolate. Plus if you want to customise your nappy cake order, give us a call on 1800 66 66 46 and our team will be more than happy to make suggestions! 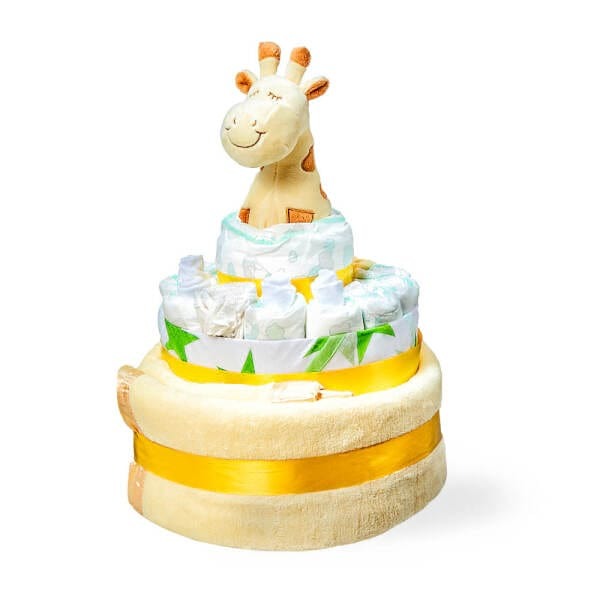 Order your nappy cakes online and receive same day delivery in the Sydney Metro, or next working day delivery to most major Australian cities. They will take a couple of days extra to reach regional towns.